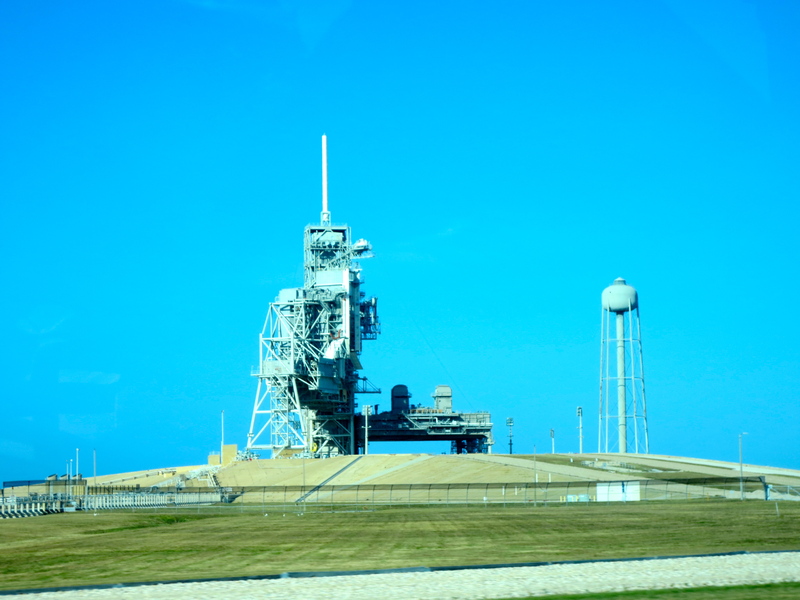 A Visit to Cape Canaveral | Where is Yvette? 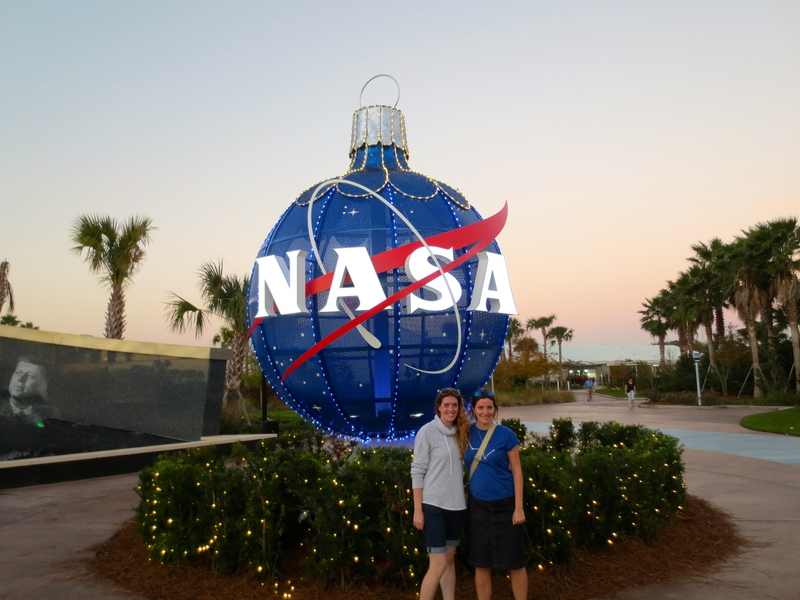 Christmastime in Florida on a hot, hot winters’ day- hey! In between all these things, by the way, there is pretty much nothing except the Florida wilderness, containing mangroves and crocodiles and sea birds. If you think about it all this distance makes sense- in the early days of the space program, when rockets were exploding right and left, one did not exactly want to launch rockets with anything remotely nearby. 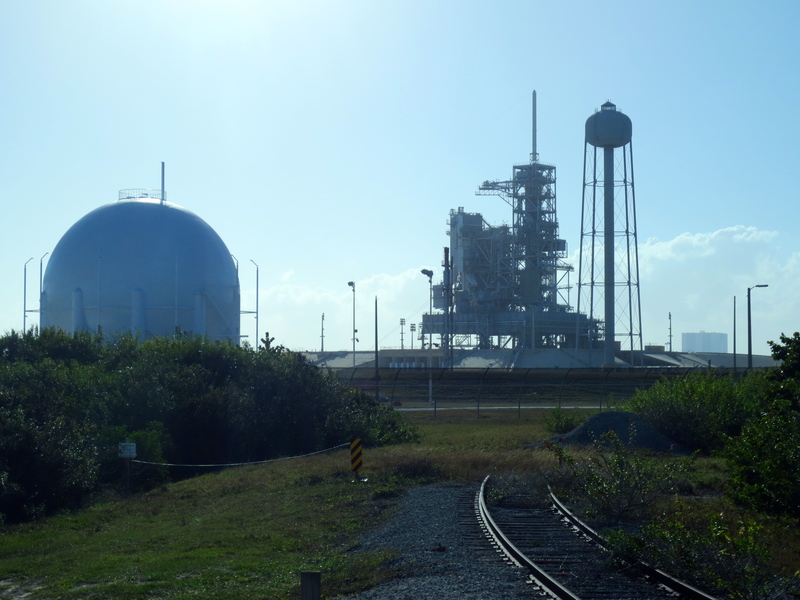 Even today when there’s a more reasonable chance of things going well you still wouldn’t want to be too close- if you were standing at the fence about a thousand feet away from the launch pad during a space shuttle launch, the sound alone would kill you. But anyway, after seeing where the magic happened, it was time to see some big rockets in the flesh! 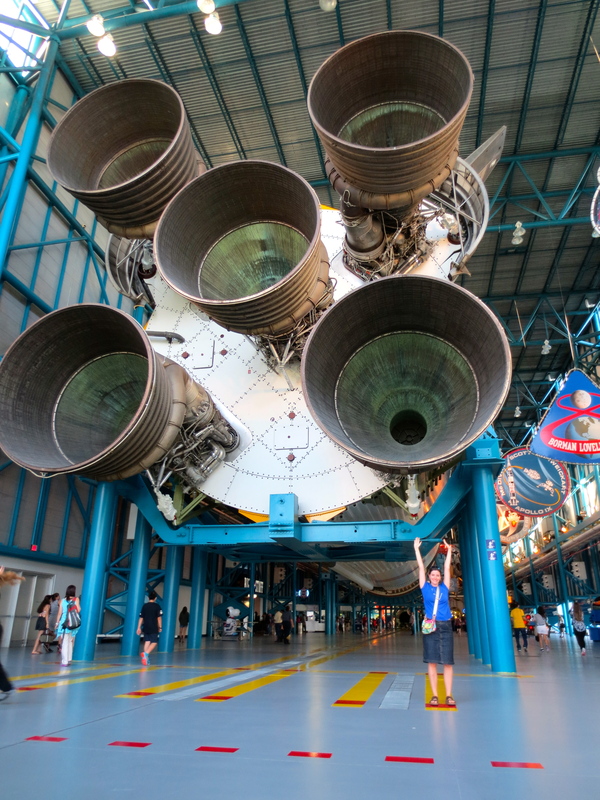 First the Saturn V rocket, which carried the Apollo astronauts to the moon and is so phenomenally huge (longer than a football field) you cannot begin to get a picture of all of it. It should be noted this one never went into space- the Saturn V rockets were multi-stage ones, meaning you jettisoned pieces as you went further up, and were disposed of in the ocean and not reusable. The thing is, however, when the Apollo missions were cancelled there were some rockets already constructed at the time, so they ended up being used for things like Skylab and being put into museums like this one. 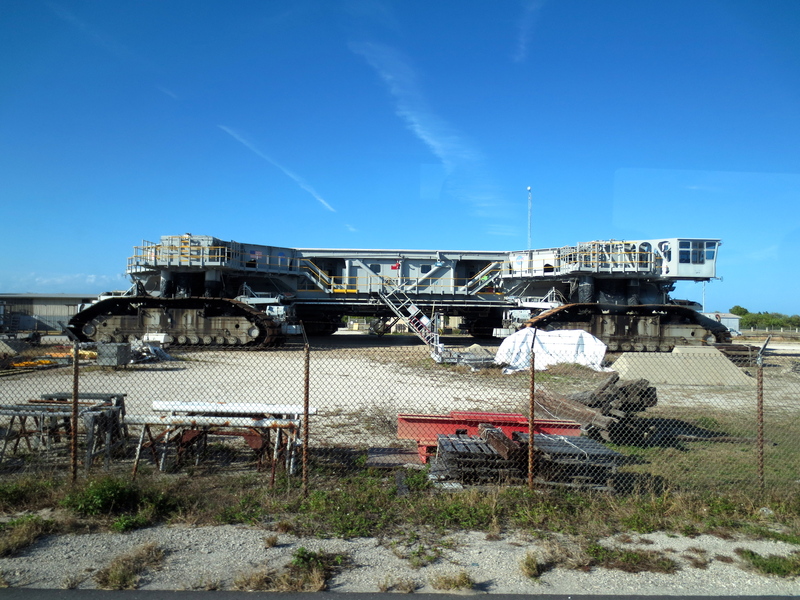 This one was in front of the new home of the Atlantis space shuttle- and trust me, it is impressive as anything to realize this thing used to float around in space! Now perhaps I’m more of a space geek than I have admitted (is there a Space Geeks Anonymous where I can go and confess I am one?) 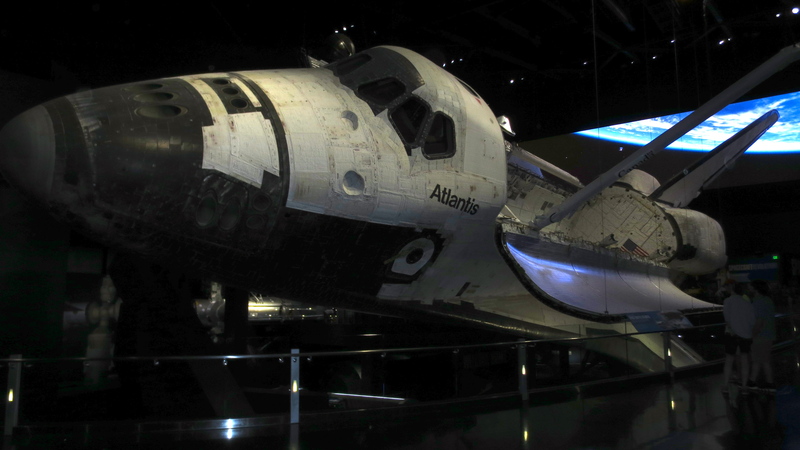 because after seeing Atlantis I have seen all but one of the space shuttles still in existence, as both Discover and Enterprise have been on display in the Udvar-Hazy wing of the Air and Space Museum. 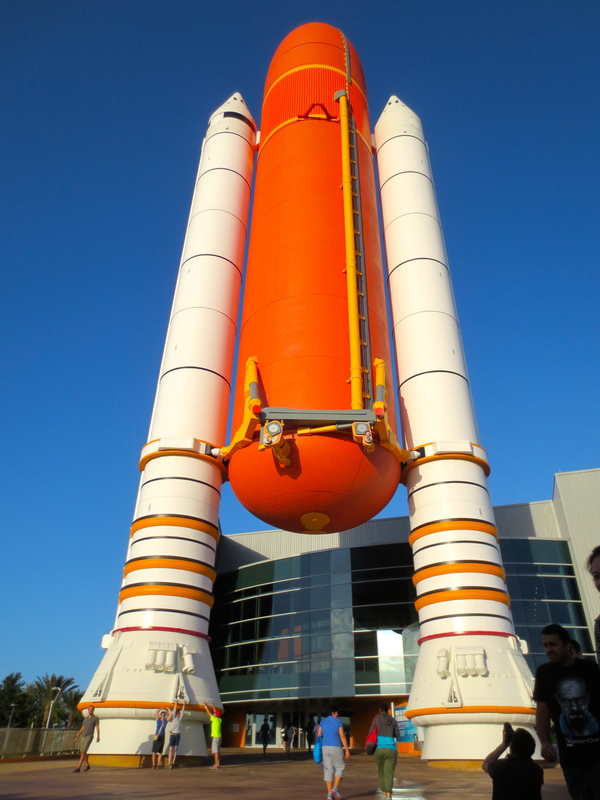 (I just need to visit Endeavor Endeavour in Los Angeles!) I will say though I think the display here is much better- you only see the space shuttle from the ground level at air and space, but here they’ve done it so you can look inside the cargo doors and see it from below and just about any angle to your heart’s content. If I may say so, they really put the old girl out to pasture in a great location. So overall it was a great experience to visit Kennedy Space Center, though at some points it was a pretty heavy reminder that it is in the state of Florida and Disney tourism is king. (There is, I kid you not, an Angry Birds Space display where you can hurl stuffed animal birds at pigs with giant slingshots. If you decide to just throw them by hand, however, you get yelled at by the bored attendants.) There was a bit more of an optimistic note detected than I’ve heard in recent years too: private space industries are really moving in to the Cape, and there was a decent amount of modernization going on. After a few years of stumbling around, this astronomy (and likely closet space geek) likes to hope that the American space program is getting on its feet again. Fingers crossed! This entry was posted in Florida, Science!. Bookmark the permalink. Nitpicks: It hasn’t been “Cape Kennedy” since 1973, and it’s spelled “Endeavour” after Captain Cook’s ship. Other than that, thanks for yet another interesting writeup. I’ve been to KSC a few times, but not since Atlantis was put on display. So maybe I’m due for another visit. Thanks! Yeah, I thought it was a little too Disneyfied in some ways (particularly at the entrance) but hard to turn down a visit because, gee, it’s Cape Canaveral. Nowhere else like it in the world! Dang! I live 45 minutes away, it would have been fun to have met you!